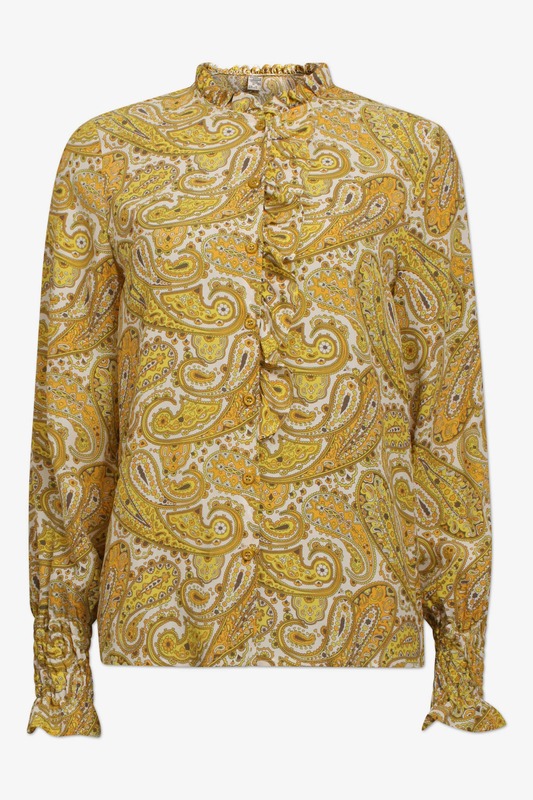 Morna Shirt in Yellow Paisley by Baum und Pferdgarten A silk blend shirt with asymmetric frill details at front. Smock at cuffs and button closure through front. Bold colours and prints are trademarks of this stylish Danish brand Baum und Pferdgarten. Size: True To Size.